Every Bishop and Deputy to General Convention received copies of the so-called Blue Book several weeks ago. 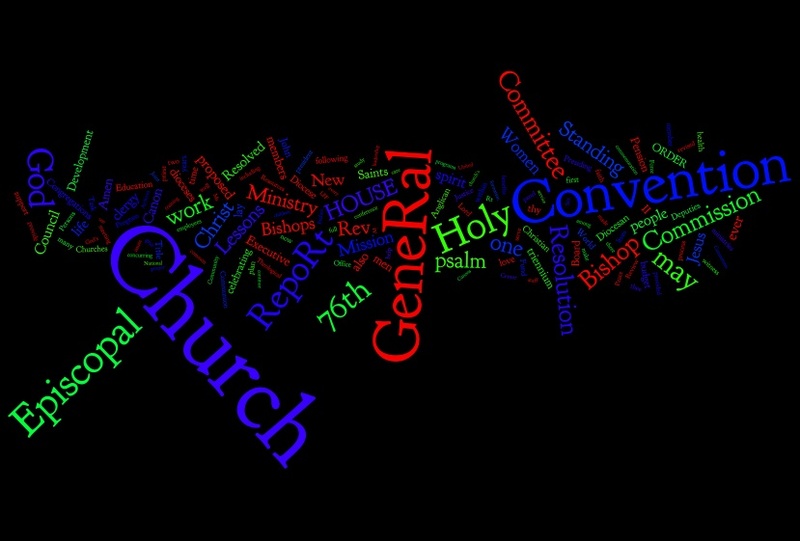 This massive tome contains reports from various and sundry committees of the Episcopal Church, along with nearly 200 resolutions for consideration by General Convention. Though it is called “blue” it is actually crimson. And we wonder why people get frustrated by insider talk in churches! But I digress. Theological conclusions, anyone? After you figure that out, go check out Wordle. Perhaps this is a good comment on your earlier post about the elephant in the room! Next story Why don’t more men go to church? Previous story Technology in the House of Deputies?